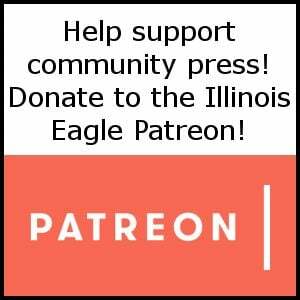 The Illinois Eagle needs your help to serve the LGBTQ communities of Illinois. The money from our supporters goes to pay for hosting and promotion. As we grow, we hope to pay contributors for their writing. But we can’t do that without you. Please consider contributing on a monthly basis through our Patreon. We have a variety of donation levels and thank you gifts, kinda like queer public radio. If you can’t do a regular monthly donation, then please consider a one-time donation through our PayPal account. And thank you for helping us serve you.